You are cordially invited to the tenth meeting of Coffee Talks, a series of events which has been carried out by BİLGİ PhD in Communication. The event will be held on santralistanbul Campus (E4 Building, Kale Room) on Thursday, April 5. It will start at 7.00 pm. Famous for the strength of reactionary Turkish nationalism, almost everyone in Trabzon vehemently distance themselves from Rum [Greeks], who inhabited the littoral until the 1920s, and ardently claim Turkish heritage. This strong identification with Turkishness, intriguingly, goes hand in hand with the fact that various communities in the region continue to discreetly speak Romeika [Rumca]—a local variant of Greek with archaic linguistic features. This “discreet” (Mahmud 2014) presence of Romeika and the ambiguities it generates, I argue, configure locals’ relations to the landscape and instigate a prevalent socio-cultural practice, treasure hunts [definecilik]. As quests for buried troves of past communities, treasure hunts have rarely been subjected to scholarly analysis, since they unwaveringly destroy archaeological remnants and, hence, are dismissed as calamitous folk myths that reflect popular desire for material riches. How these engagements keep memories of past communities alive in intimate but “haunted” (Gordon, 2008) places (as in one’s own home or village), for this reason, has never been studied. Many locals in Trabzon, for instance, incessantly look for troves of Greeks in their own houses and villages, while claiming that these intimate spaces have only been inhabited by Turks. How are we to comprehend the ambiguity generated by the very proximity of these imaginary sites of treasures? Drawing on an ethnographic research on Romeika-speaking communities in Trabzon, this research explores the practices and politics of memory in contemporary Turkey. I argue that, rather than simply being quests for material riches, treasure hunts might be read as a modality of remembrance through which collective memories, banished from the public for the sake of a unified national identity, are retained in material and corporeal forms. Through these quests, I argue, locals can remember the past communities by situating their memory in intimate spaces without antagonizing the state and nationalist ideology. This analysis reveals both the diverse ways in which Turkish nationalist communities in contemporary Turkey preserve Romeika and how “subversive” collective memories are accommodated in the face of national historiography and its erasures. Following his studies at Bogazici University in Istanbul, Erol Sağlam has completed his PhD degree at Birkbeck, University of London in 2017 and is an affiliated fellow at CCISC (UK). His dissertation explored processes of subject formation at the intersection of nationalism, collective memory, gender, and Islamic piety through an ethnographic research in Trabzon, northeastern Turkey. His articles are published in a number of journals and edited collections. 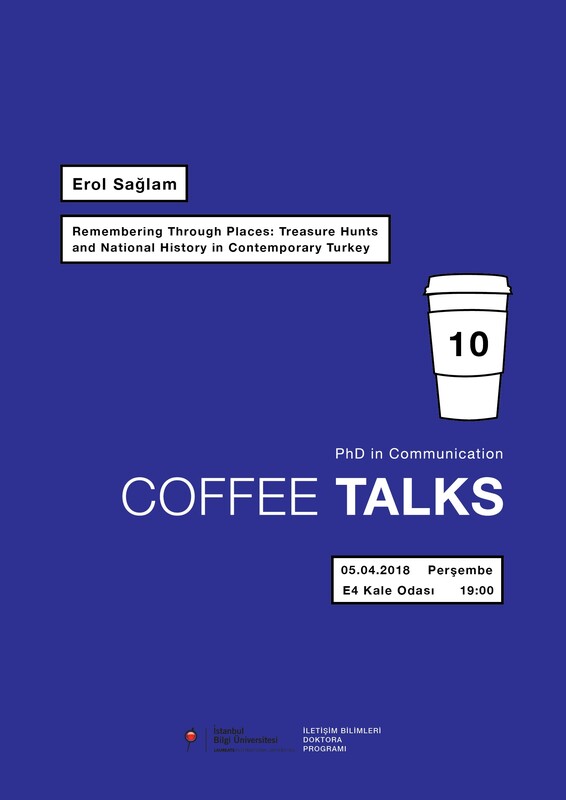 Sağlam‘s current research interests particularly deal with treasure hunts, conspiracy theories, masculinities, state ethnography, and memory practices.